Web Prancer is proud to announce the release of Garfield’s Diner, our first new app featuring the lazy and cynical but famous and lovable cat Garfield! Born in the kitchen of Mama Leoni’s Italian Restaurant, food has always been a priority in Garfield’s life. 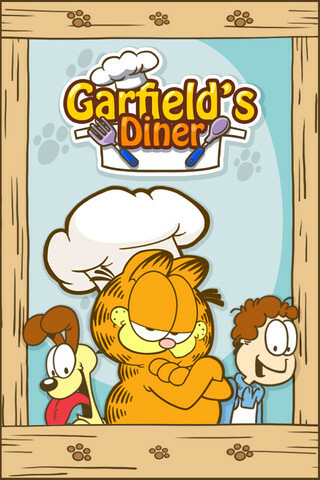 So when his owner Jon is left in charge of a busy diner, Garfield wastes to time in taking charge! Lazy no more, or does he just love food that much? 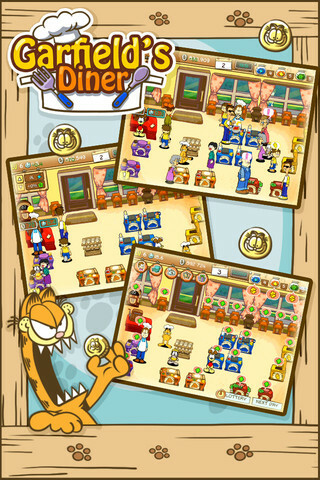 Garfield’s Diner is a fun, fast-paced time management game with colorful, cartoon-like graphics, where players must help Garfield run the diner smoothly. Fans or the series can also find other familiar characters such as Jon, Odie, Nermal, and the rest of Garfield’s friends who can be hired to help out. The app is free to download from the App Store for iPhone, with an HD version available for iPad. Stay tuned for more awesomeapps and updates coming soon!